Max Novak, who is out with a broken hand, sits down with Josh Heller in this week’s A-Devils Podcast. Josh Heller takes a look at last week’s three games and sits down with defenseman Brandon Burlon. Corbin McPherson sits down with Josh Heller during the latest episode of the A-Devils podcast. 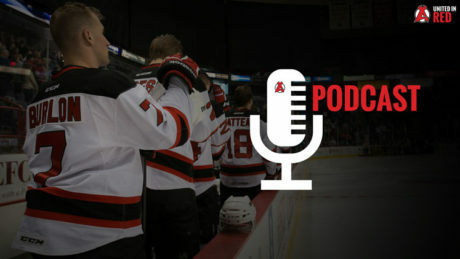 Rookie Joseph Blandisi is the guest on the latest episode of the A-Devils podcast. He talks about making the adjustment to the pro game. Host Josh Heller catches up with guest Mike Sislo and General Manager Tom Fitzgerald. 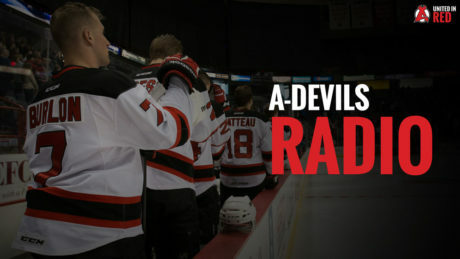 The first installment of the A-Devils Podcast featuring interviews with captain Rod Pelley and CEO Chris Ciceri. Head Coach Rick Kowalsky talks about Thursday’s 2-1 preseason victory at the Hershey Bears and previews Friday’s tilt at the Wilkes-Barre/Scranton Penguins.